Specialist in residential property management and lettings. Manage over 200 properties for Landlords. Many landlords live overseas and also many are Fleetwood, Fylde based. 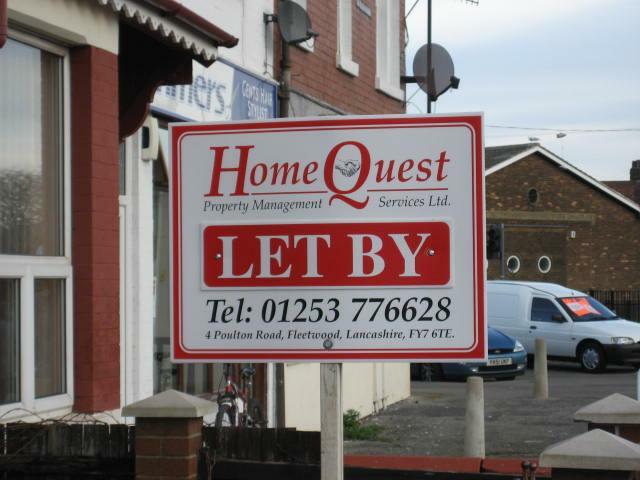 HomeQuest take over the full responsibility of managing the property from collecting rent, appointing tradesmen to attend to repairs and maintenance and issuing correct tenancy agreements and associated paper work. Run and owned by 2 directors, Paul Marsden and Gary Booth. Members of the Residential Landlords Association and United Kingdom Association of Letting Agents. Property Management and Residential Lettings. Please contact the office for our fees structure.